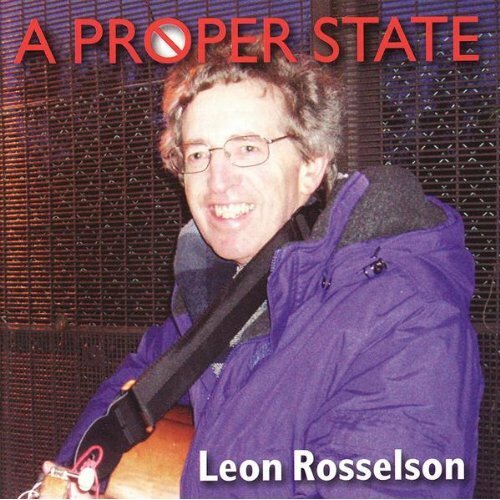 Leon’s first true studio album in almost a decade, A Proper State includes ten new songs plus a customary oldie (“Barney’s Epic Homer”). It was recorded once again at Running Frog during November 2007, and released the following February. Old friends and collaborators Fiz Shapur and Liz Mansfield appear, as does Ian Saville, a “socialist magician” with whom Leon performed live on a number of occasions. In view of Leon’s recent songs concerning the Palestinian issue, the title of the CD implies a link, but in fact the song after which it is named has no such connotations. The cover photo was taken outside the gates of the Faslane nuclear base in Scotland, where Leon was demonstrating.